Although it may not be immediately obvious, 2017 marks a significant milestone for the world of cinema. No, not the 40th anniversary of Star Wars, silly! This year commemorates one glorious decade of Michael Bay Transformers movies! A historic era, if ever there was one, defined by its maker’s steadfast determination to project crude racial caricatures, slobbering misogyny, blatant product placement and brain-scraping, assaultive chaos in front of the eyes of children of all ages. Let us all make a solemn plea to the higher powers that future generations not hold this franchise’s four billion dollar worldwide earnings against us. For we will have no answers, only silence. And shame. 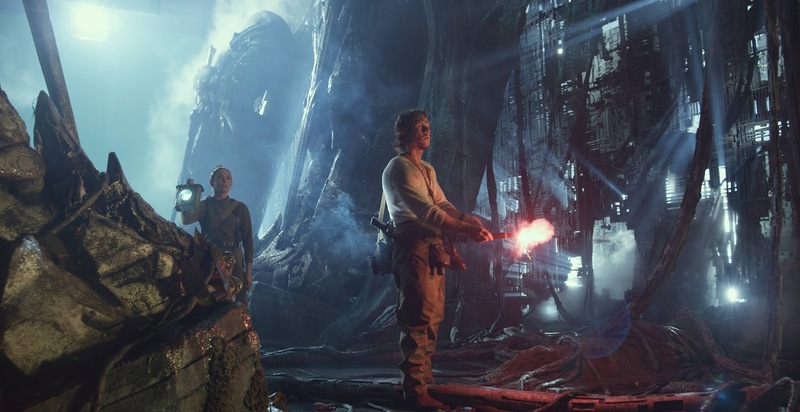 The fifth entry, Transformers: The Last Knight is exactly what one might expect if they’ve waded through the previous four. Whereas the Pirates of the Caribbean series, for example, has degraded over time, these unstoppable things haven’t suffered any real franchise fatigue. They’re still the same stupid, incoherent expressions of gleeful adolescent rage the original was when it wowed audiences in 2007. The mythology has gotten exponentially more labyrinthine (if that’s possible), but you can still watch any single film and be able to tell others you’ve seen them all. Sure, this one tosses Arthurian legends - passed off as legitimate history – into the mix. However it’s just dopey window-dressing to gussy up the typical screeching, ugly visual overload that makes up the majority of the run-time. 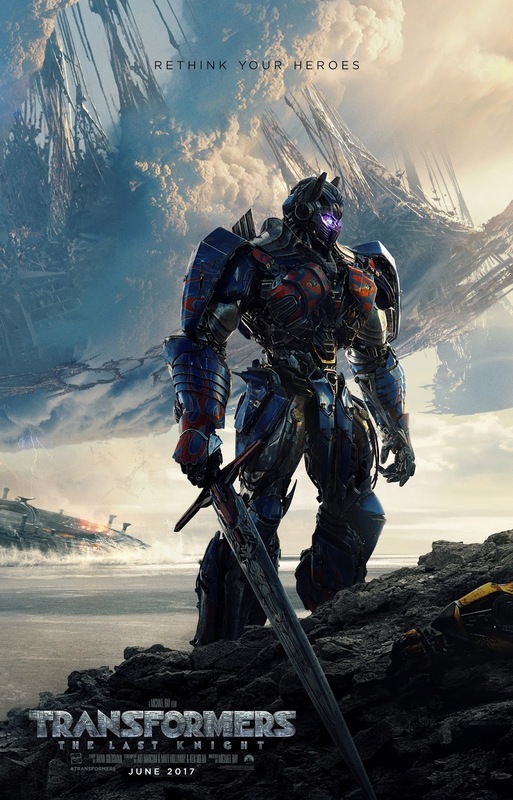 The Last Knight probably isn’t the worst Transformers picture, but it is the least tolerable to endure (so far... *Gulp*). The sheer idiocy, political incorrectness and nihilism of these movies used to at least spark outrage or bewilderment. No longer. There is zero emotional response to be mined from this film’s 149-minutes. It is the epitome of anti-art, furiously bombarding you with relentless over-stimulation (the spectacle is consistently frantic, while the actors have three speeds: solemn, sputtering and psychotic) until its time is up and you’re free to listlessly remove yourself from the theatre, bored, blank-faced and pondering what to have for dinner. A pretty lame result, given modest early hopes this one would take a slightly different tact. The Last Knight is the first project to emerge from Paramount's recently assembled franchise brain-trust, which was created in order to expand the brand in fresh and exciting ways (screenwriting pox Ehren Kruger, whose fever dreams fuelled the last three, is MIA here). Alas, new additions Art Marcum & Matt Holloway (Iron Man) and Ken Nolan (Black Hawk Down) – with assistance from wildly inconsistent veteran Akiva Goldsman (A Beautiful Mind, Batman & Robin) – have churned out a clunker that feels almost entirely indistinguishable from that which came before. Money well spent, guys! Rewriting the origin of the gigantic robots’ arrival on Earth for the umpteenth time, The Last Knight opens in the Dark Ages (the inspiration for Bay’s race and gender politics, hey-o! ), where Merlin (Stanley Tucci, the brief bright spot) receives a Cybertronian wand that clinches victory for the overwhelmed Britons. Smash cut to a decimated modern day Chicago: the U.S. government, in an effort to rid the globe of the walking extraterrestrial junkyards, has assembled a deadly mechanized strike time that controls the streets with brutal force. With potential savior Optimus Prime (Peter Cullen) gone on an extended trip back home to kill his Borg Queen-like creator Quintessa (Gemma Chan), the city has devolved into carnage, leaving Cade Yeager (Mark Wahlberg), 14-year-old Izabella (Isabela Moner), and their massive clanging allies, alone to rise up against the unjust crusade. Aggravated by their destructive rebellion, America makes a desperate bargain with the evil Megatron (Frank Welker) to help exterminate the Autobot threat. It’s all a ruse, clearly, as the gravel-voiced baddie actually seeks to usher in doomsday for humanity. Eccentric academic Sir Edmund Burton (Anthony Hopkins) is on to him, and recruits Yeager and brilliant historian Vivian Wembley (Laura Haddock) to recover Merlin’s long lost weapon, which can thwart the apocalyptic Decepticon menace lurking within our planet’s core. 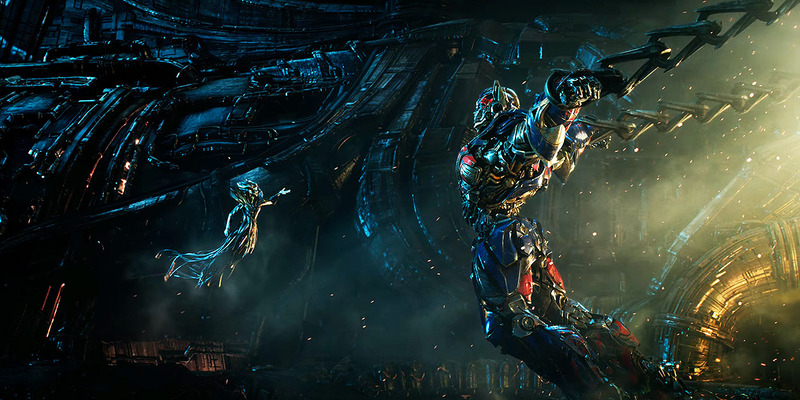 As our heroes valiantly strive to outrace their deadly pursuers to the prize, Optimus struggles under the corruptive influence of his seductive deity’s hypnotic spell. 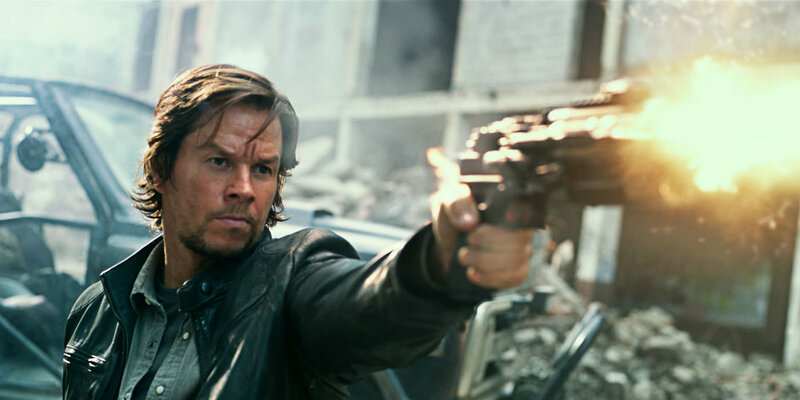 If any of the above plot details sound at all comprehensible, rest assured such is not the case when channeled through the mad, amped-up sensibilities of Michael Bay. The director – who delivered a decent movie last year with 13 Hours - again chooses crazed, explosion-y style over substance, letting his simple chase plot carelessly devolve into a confused jumble of overwrought exposition (John Turturro shows up to literally phone in jibberish) that grows more and more puzzling until you give up trying to connect the dots all together. Multiple characters (including Moner and Jerrod Carmichael as Cade's nervous sidekick) are exhaustively introduced and then forgotten, and rampant unfunny comic riffing and extended sequences of grotesque CG bedlam cause the momentum to lurch and stagger. No joke, about 45 minutes could have been cut without harm (preferably all scenes involving Burton’s obnoxious split-personality robot butler, played by Jim Carter). You kinda have to admire Bay though. While Terrence Malick works with comparative shoestring budgets, Bay, the manic auteur, has ungodly resources to throw around in service of exploring his own inimitable obsessions and fantasies. Rarely in big budget moviemaking has an artist been laid as bare as he is in these films, boldly inviting us into his own hyperkinetic psyche where crass sensation trumps sense or accepted morality. It’s a genuinely strange place: affection is articulated through hostility, science is dumb, violence solves all, ethnic stereotypes dictate behavior and women are fetishized and resented for it (at one point Cade sneers at Vivian for wearing a “stripper dress” as the camera creepily lingers on her). Maybe this why he keeps coming back to the franchise; they’re insanely lucrative therapy sessions. Either way, The Last Knight leaves one with a definitive feeling that enough is enough. In an age where Marvel, LucasFilm, Pixar and so many others are producing rousing family-friendly blockbusters filled with wit, fun and technical daring these repetitive cookie-cutter Transformers flicks – which can’t even be bothered bringing the title characters off the flipping sidelines – don’t cut it no matter how many expensive 1s and 0s noisily bounce around the frame. Ten years without a glimmer of maturation is a really damning sign it’s time to grow up already and move on. After reading your reviews on Transformers The last knight,I am eager to watch the thrill by my own eyes.In fact I am thinking to watch it on the big screen.